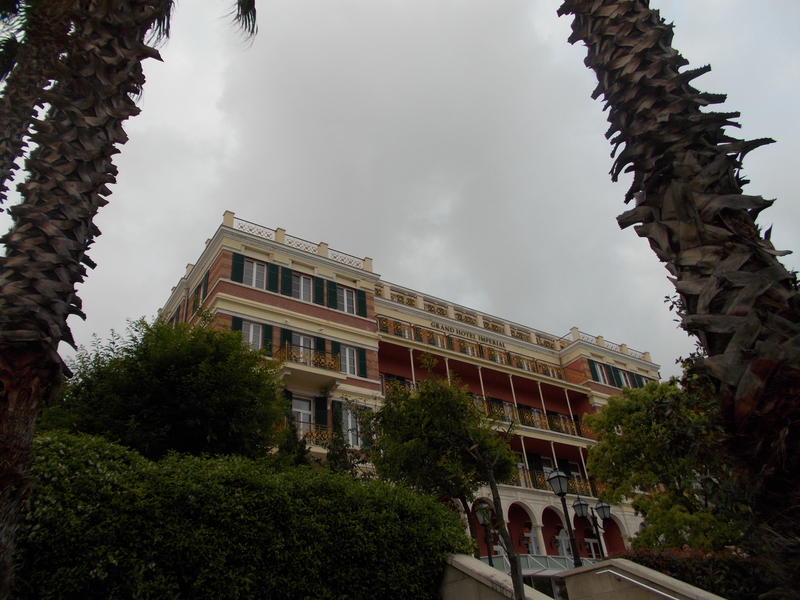 The Grand Hotel Imperial, a historic Dubrovnik hotel, opened on January 29, 1897 with two floors and 70 rooms. By 1987 it had a 3rd floor, an additional building and a total of 120 rooms. During the conflicts of 1991 and 1992 the hotel was repeatedly shelled and suffered severe damage. 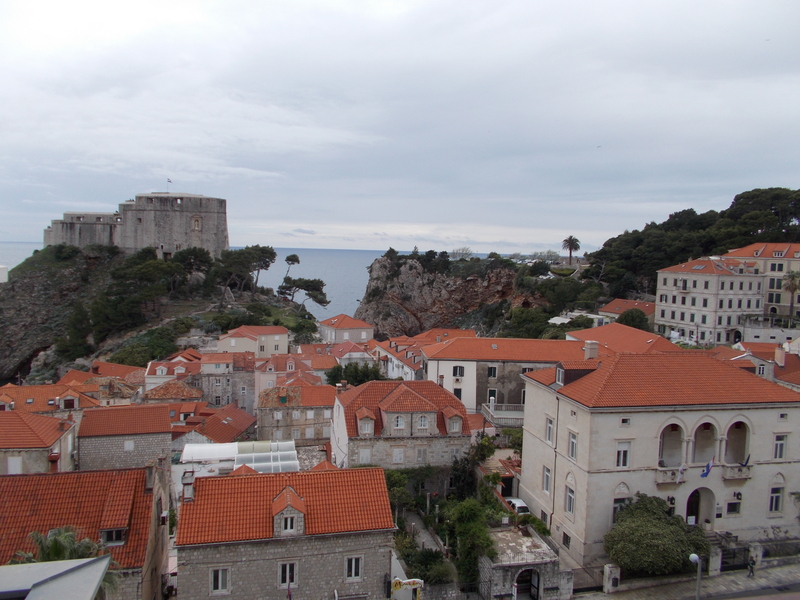 In spite of this, safer than the historic old town of Dubrovnik, it housed several hundred refugees. 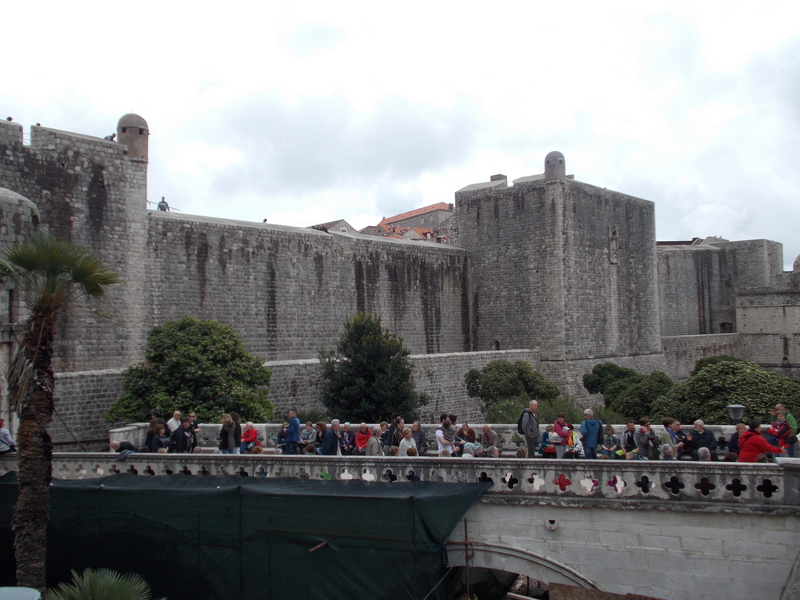 After repair and remodeling, the hotel reopened on May 1, 2005 as the Hilton Imperial Dubrovnik. 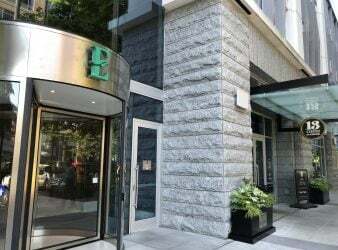 There are 147 guest rooms, Executive rooms and suites in this striking hotel that effortlessly blends modern convenience with old world charm. 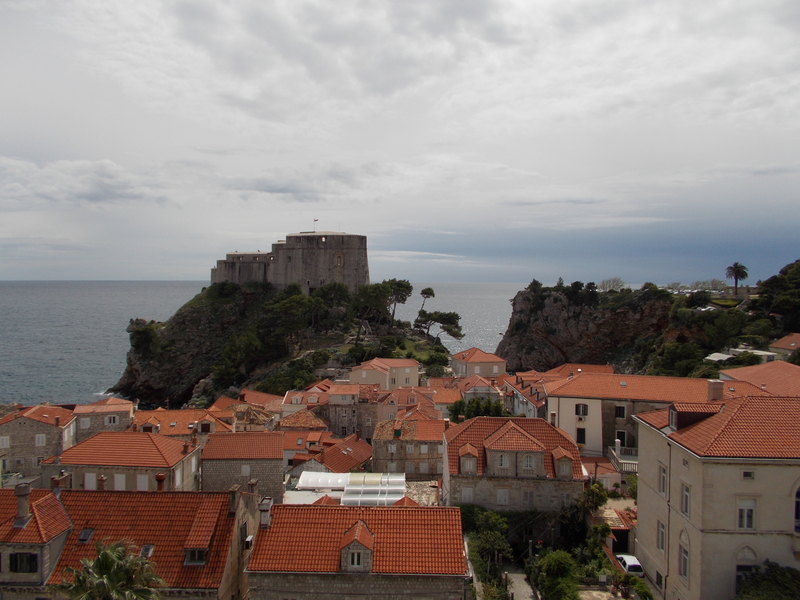 A one minute walk takes you to Pile Gate and entry to the UNESCO Heritage site of Old Town Dubrovnik. 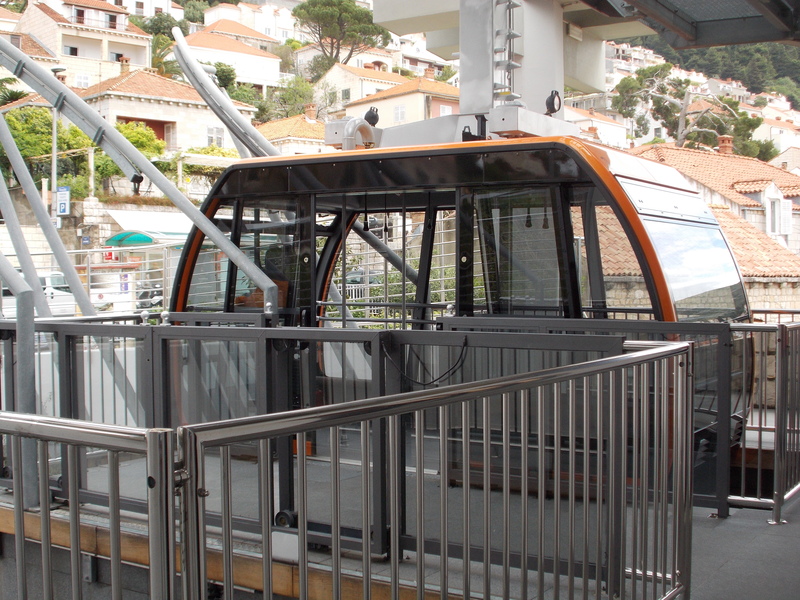 Walk a few minutes beyond the gate to the entrance of the Dubrovnik Cable Car for stunning hilltop views of Dubrovnik. 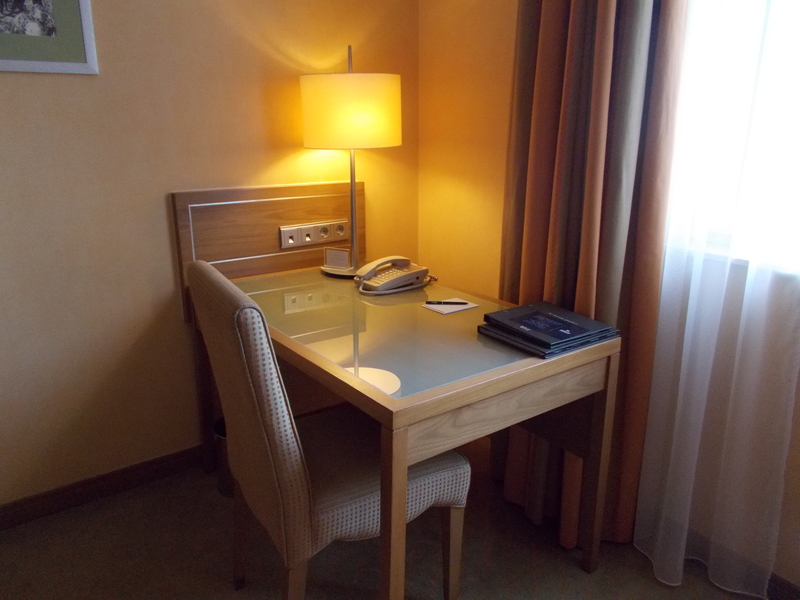 I stayed in a standard King room at the Hilton Imperial. 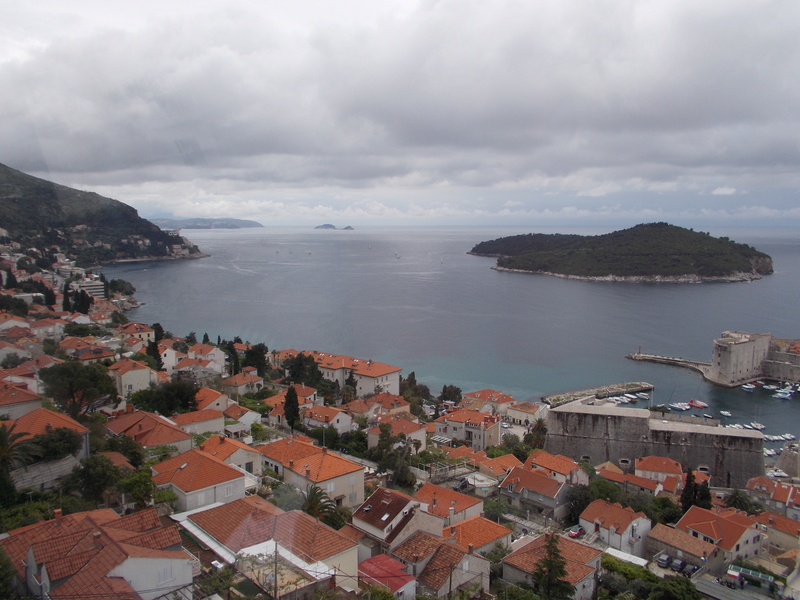 I had a standard view, which included the red tiled roofs of Dubrovnik. Robes for use during my stay were laid out on the bed. It was easy to work at the spacious desk with plugs and USB connections. Complimentary wi-fi in my room had a steady connection. All rooms include a tea kettle and the makings for tea and coffee. 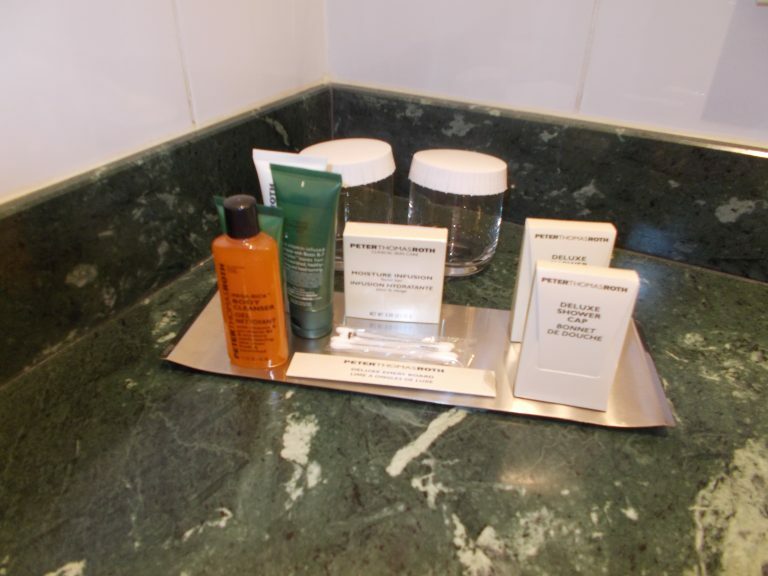 The bathrooms are spacious with standard Hilton amenities. 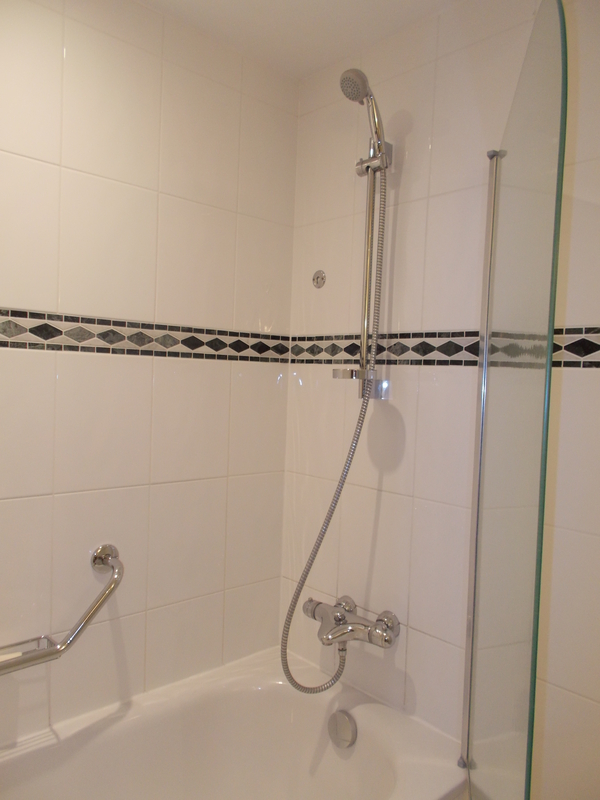 There are also executive rooms and suites available. 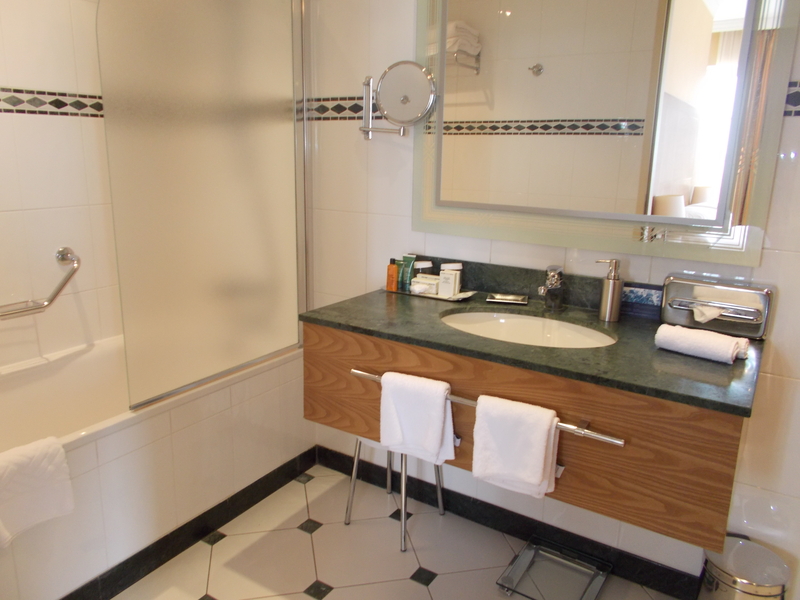 Upgraded rooms provide sea and city views. Executive rooms on the 4th floor include sea views. All Hilton Diamond members and Hilton Gold members in upgraded rooms are given access to the Executive Lounge on the 3rd floor. The Lounge provides a quiet oasis for travelers. There is a narrow balcony with small tables overlooking the city and Adriatic if you prefer being out in the fresh air. 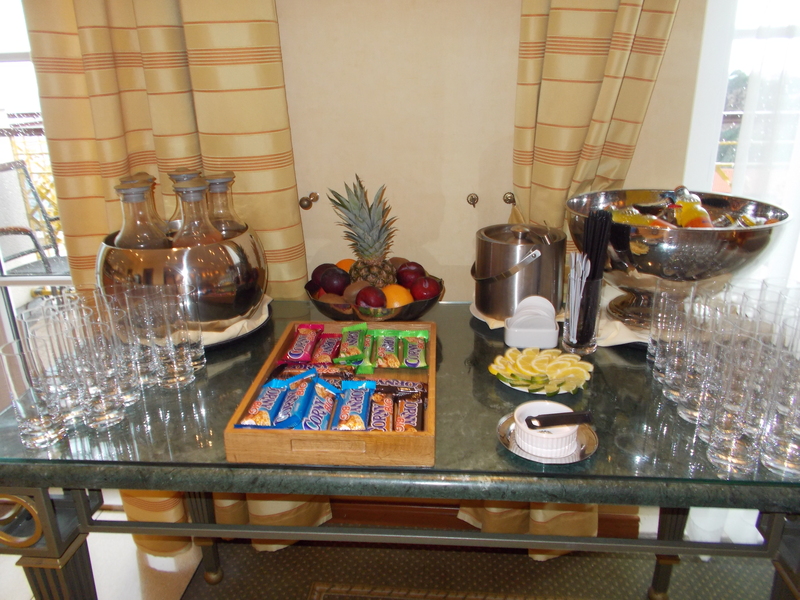 Throughout the day an array of nuts, dried fruits, sweets, coffee, tea, water and soft drinks is available. 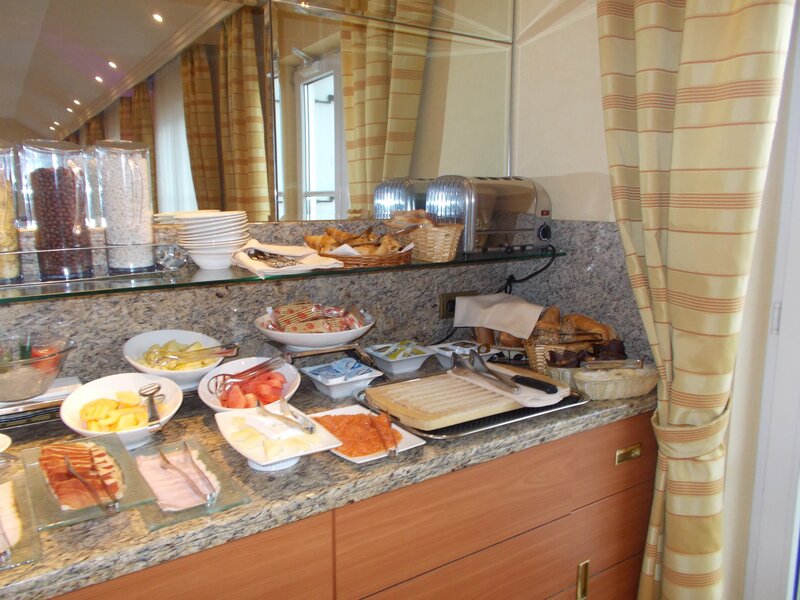 A continental breakfast is provided in the mornings with sausage, bacon and scrambled eggs. 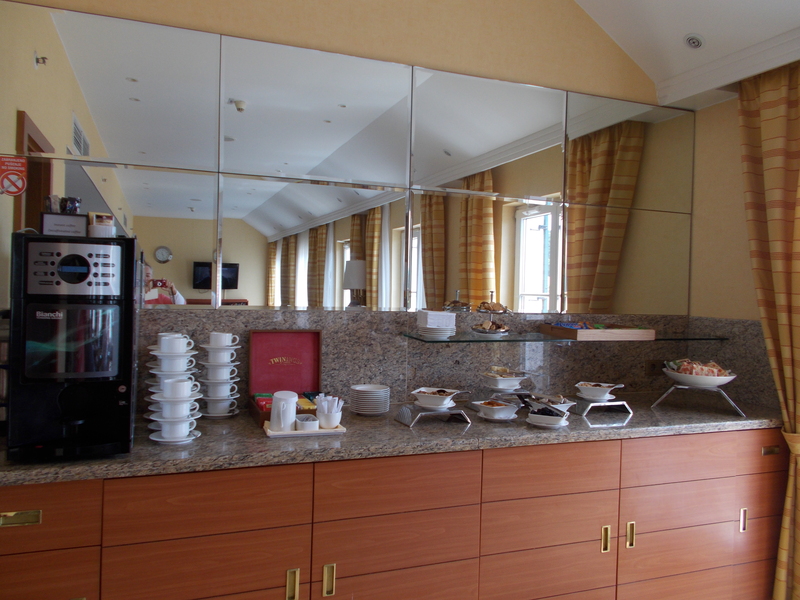 In addition there is cereal, yogurt and pastries. During the cocktail hour a variety of hot and hold canapes is served. As are small hot dishes such as gnocchi with meat sauce. 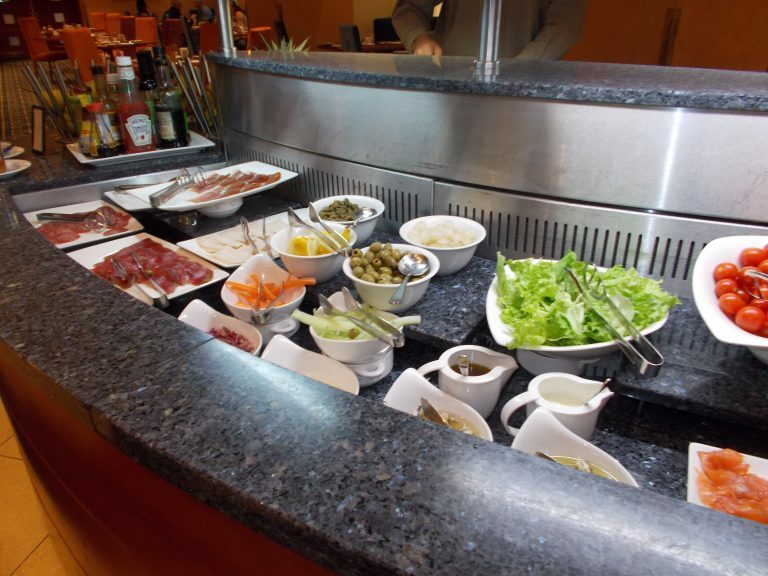 There are also veggies, olives and desserts and drinks. All food and drink in the Executive lounge is complimentary. 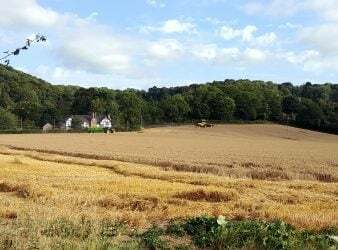 If your stay at the hotel is accompanied by bad weather as mine was, you will find there are numerous ways to enjoy your holiday without stepping foot outside. The Health Club includes a gym, four treatment rooms and a sauna. Guests may book facials, massages or individualized fitness training with a personal instructor. 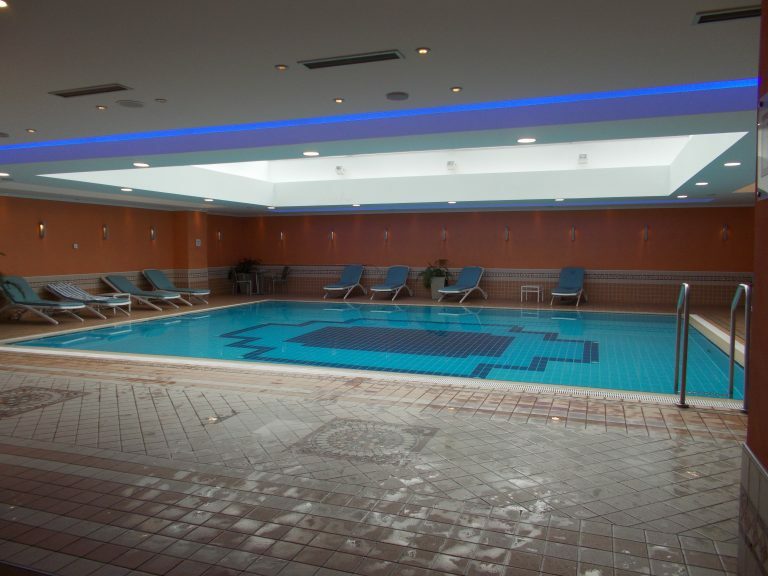 Relax after a busy day of sightseeing or a brisk workout in the gym by plunging into the enclosed swimming pool with glass roof or lounging on the sun deck. 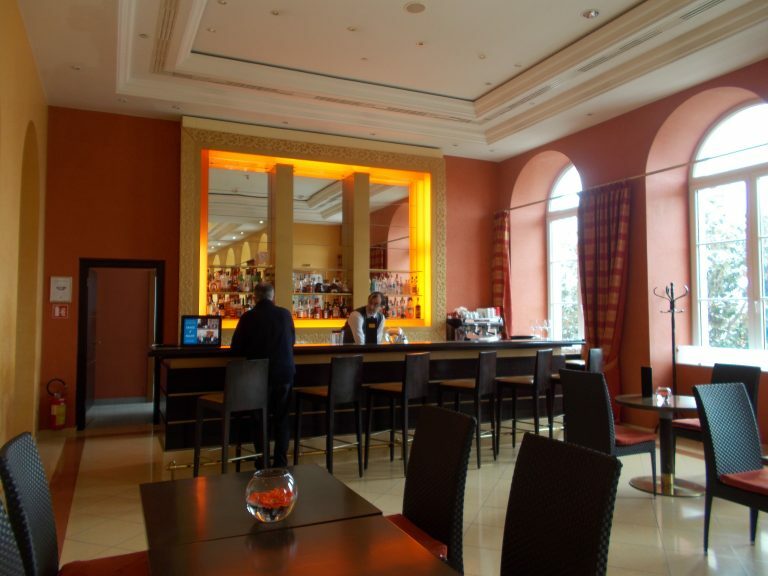 Let the bartender mix your favorite cocktail to sip at the bar or seated in the adjoining lounge. 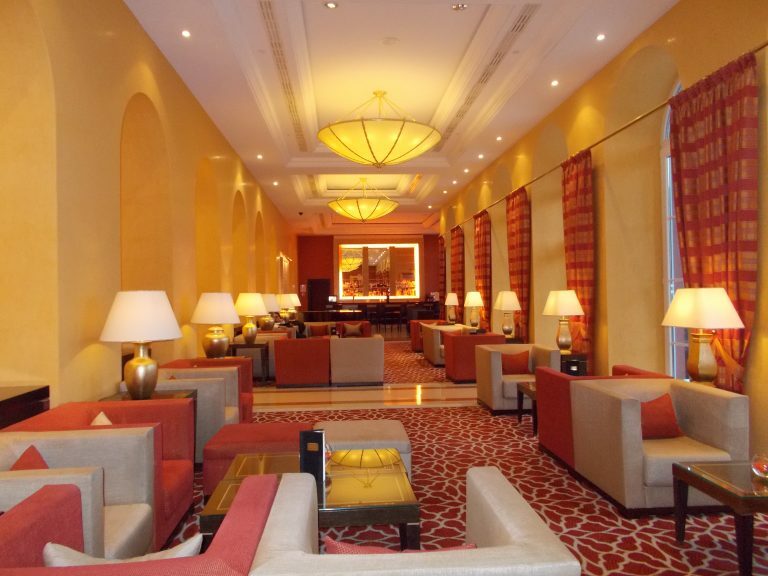 The ambience of the Grand Hotel Imperial can still be felt in the elegant lounge. 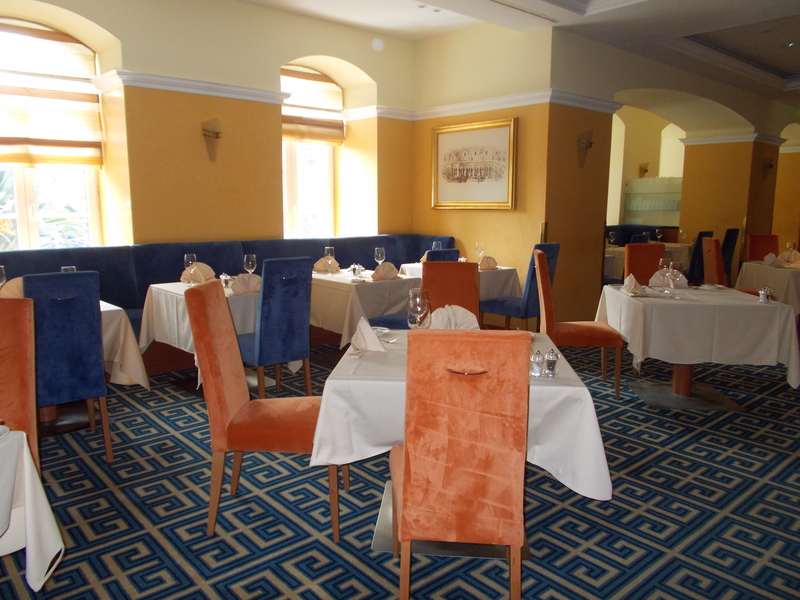 The menu features contemporary Mediterranean food. 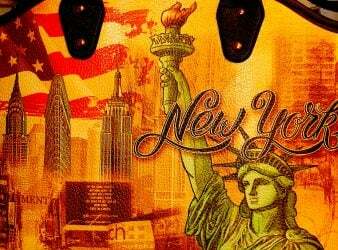 It is open daily from 7am to 11pm. I did not eat lunch or dinner at Porat. 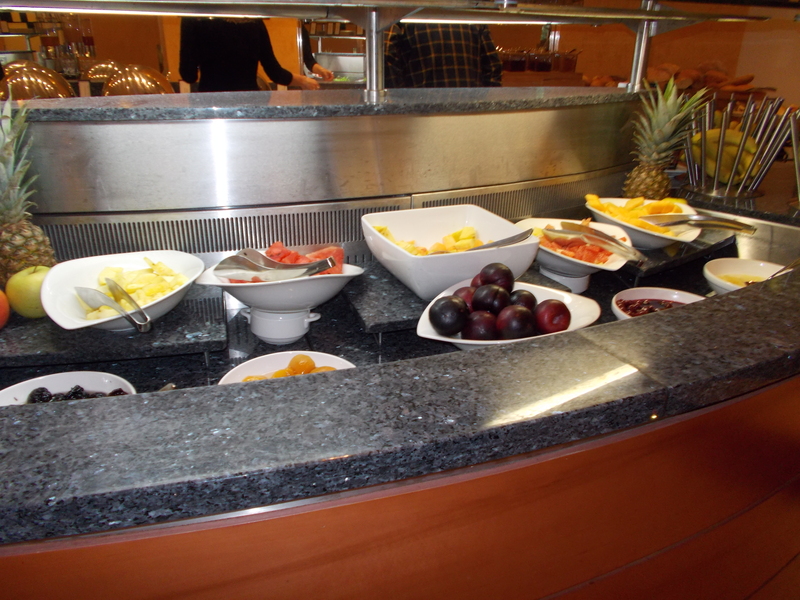 However, I did indulge in the breakfast buffet. Most room rates include the opulent breakfast buffet at Hilton Imperial Dubrovnik. There are extensive choices of both hot and cold items. 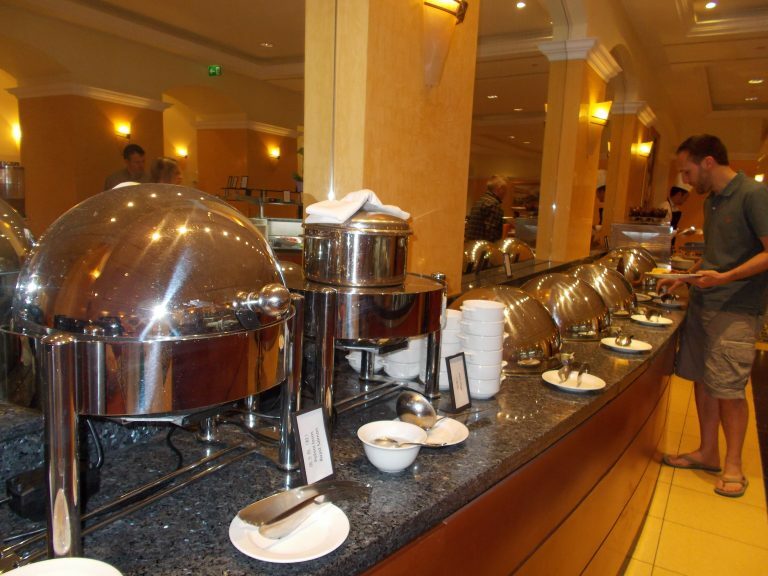 The international offerings include; stewed tomatoes, rice, roast salmon, beans, miso soup, and sautéed mushrooms. 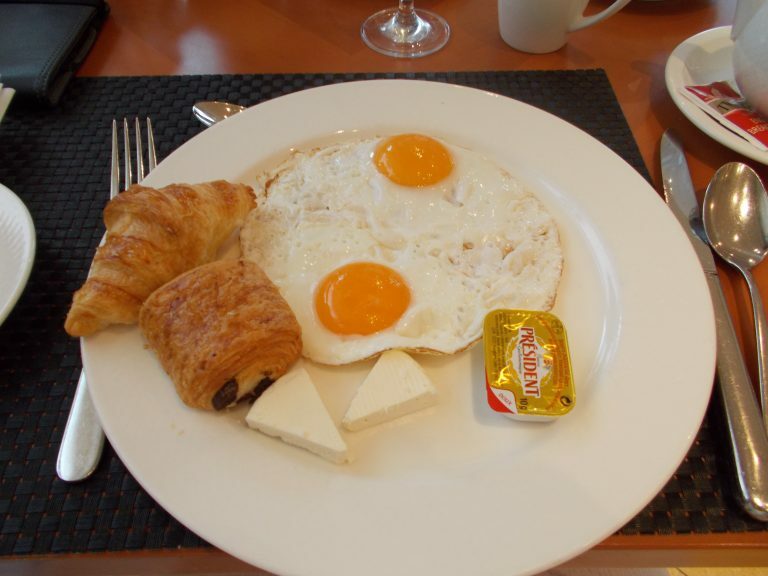 You will also find standard item such as scrambled eggs, bacon and sausage. 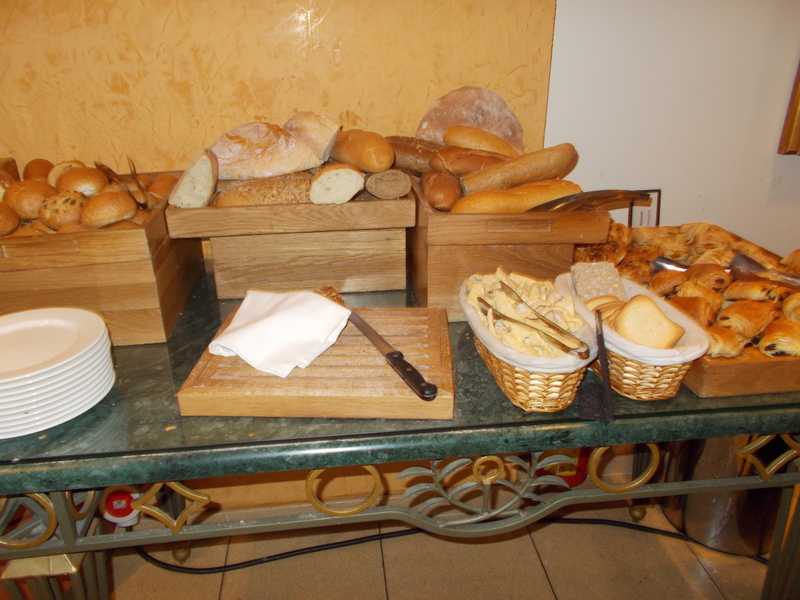 And, of course, this being Europe, there are dozens of other items from yogurt to fresh fruit to irresistible pastries. Want something cooked to order? No problem. There is an omelette station. In addition, the wait person serving your tea and coffee will special order eggs or pancakes for you. 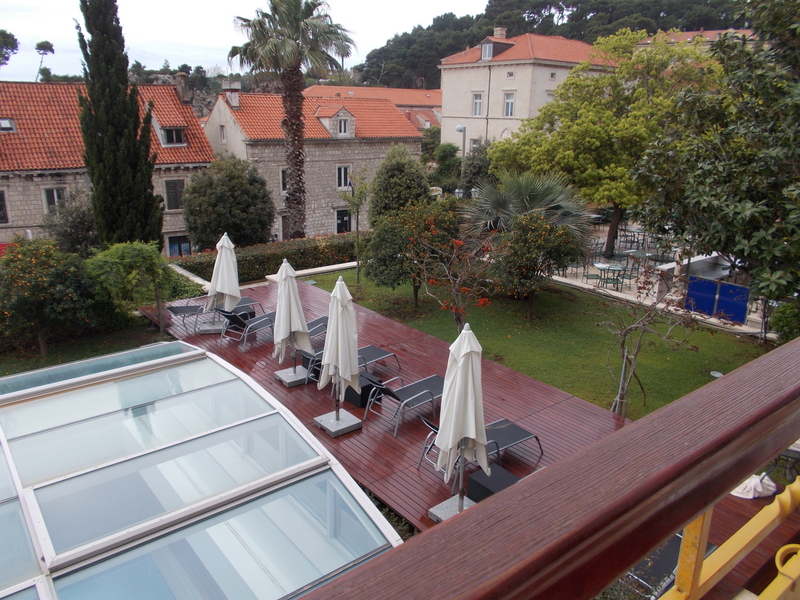 This historic Dubrovnik hotel was ideal for a 24 hour stay in Dubrovnik between my Croatia small boat cruise and land tour with Katarina Line. Other guests’ comments about Hilton Imperial Dubrovnik can be found on Trip Advisor, a MilesGeek affiliate. Kathy Stafford is a writer, publisher and editor. She was a contributing author to "Sasha Cohen Fire on Ice". She has been a contributing editor to several publications including, "Discover Balboa Park: A Complete Guide". Kathy was publisher and editor of "Skating Sketches", reporting on figure skating worldwide, for over ten years. She was a credentialed journalist as a figure skating specialist for the 2002 Olympic Winter Games in Salt Lake City. She has covered international skating events in Switzerland, France, Finland, England, Canada and the United States with published articles in Canada, Japan, and the United States. Although she never accepted an assignment, she was on the list of approved Lonely Planet authors for three years. She is currently combining her love of travel, and her background as a writer and editor, as a publisher and author of travel related journalism. In addition, she blogs about her search for her family roots at www.cherokeerootsblog.com.